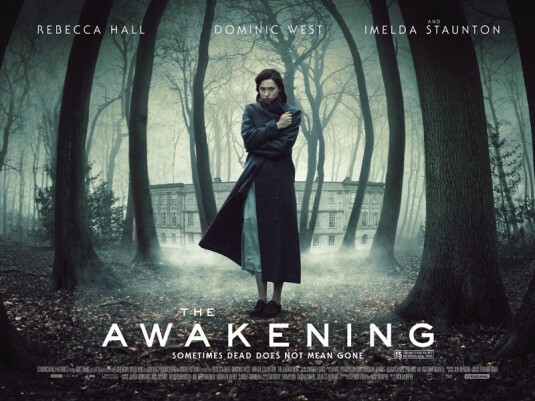 Nick Murphy’s debut film is an old school ghost story in every sense with Rebecca Hall’s journey to invesigate alledged spooky happenings finds her rolling up at a boys school in the middle of nowhere with a murdered pupil and a host of unanswered questions. I caught the film earlier this month as it plays the London Film Festival in the next couple of weeks and found it to be a well crafted tale with some genuinely terrifying moments. Hall and her co-star Dominic West are perfectly cast and make the most of the script, co-written by Murphy and Stephen Volk. You can read my review on this site shortly but it’s well wrth catching as soon as you can. Those impy IMPA bods revealed this to the world. Thanks Be.